Oil pulling is an ancient Ayurvedic practice, dating back thousands of year. It consists of using some form of oil (vegetable, coconut, olive, sunflower, sesame, etc.) and swishing it around in your mouth for 20 minutes. Do this before you eat or drink anything in the morning, as it depends on digestive enzymes that work naturally to heal and clean the mouth. Basically, you take your choice of oil and put about 1 tablespoon and swish it around in your mouth, gently. If your jaw gets tired or starts to hurt you're trying too hard! Spit the oil out, then rinse the mouth with warm salt water. Salt water rinsing isn’t absolutely necessary, but is very helpful as an antimicrobial and to soothe any inflammation and proven to be effective in rinsing out any toxins which may be left out in the mouth. "Oil pulling isn’t a cure for specific conditions, but it’s generally a detoxifier and that tends to help a wide range of issues. If your symptoms are due to emotional issues, for example, oil pulling alone wouldn’t be the whole solution. That’s why we can’t really say that a particular condition can be helped by oil pulling, because each condition can have many possible causes. But OP usually has general benefits for most people." I personally have noticed whiter teeth, and Im currently using it as part of a process to get rid of a cavity. Ive seen plenty of articles claiming that oil pulling helps heal teeth as well as make them less sensitive! The only downside to this is the length of time it actually takes to see results! Check out this girls account on Oil Pulling! IT was an amazing read! 2000 B.C. "Here, eat this root." A.D. 1000 "That root is heathen. Here, say this prayer." A.D. 1850 "That prayer is superstition. Here, drink this potion." A.D. 1940 "That potion is snake oil. Here, swallow this pill." A.D. 1985 "That pill is ineffective. Here, take this antibiotic." A.D. 2000 "That antibiotic doesn't work. Here, eat this root." "Your purpose in life may be as simple as just appreciating everything the world has to offer. I dont know about you, but this has been the bane of my existence lately. 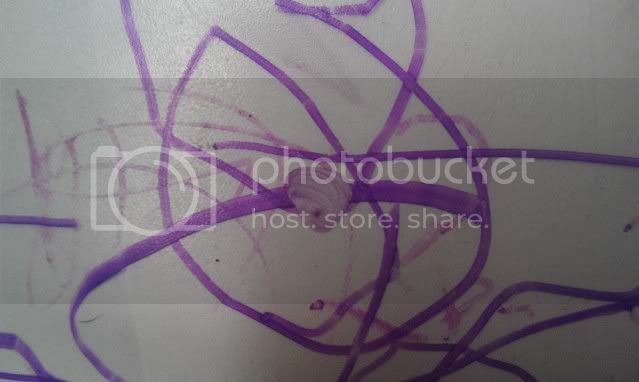 My 2 year old seems to keep finding sharpies I didnt even know we owned..
Every color of these permanent pens have been on every surface of my house (and some places they are still there since there has been a lack of rubbing alcohol around..) So I have had 6 months to a year of experience trying EVERY TIP on the internet to figure out how to remedy my counters, closet doors, walls, cabinets, and even tile of my childs artistic expression. I was really sick of EVERYTHING on the internet saying "Mr. Clean magic eraser" because I'm a holistic person, I like to Do It Myself.. and I just don't always have one around, nor the money to always have them around... so here is my gift to you! Carpet – white vinegar, or Dish soap mixed with peroxide. Wood (and closet doors) – rubbing alcohol, and sometimes toothpaste depending on the wood finish. Cabinets (Mine are coated with that fake wood surface stuff...) - The ONLY thing that works is hand sanitizer! Tile - Hand sanitizer or hair spray. 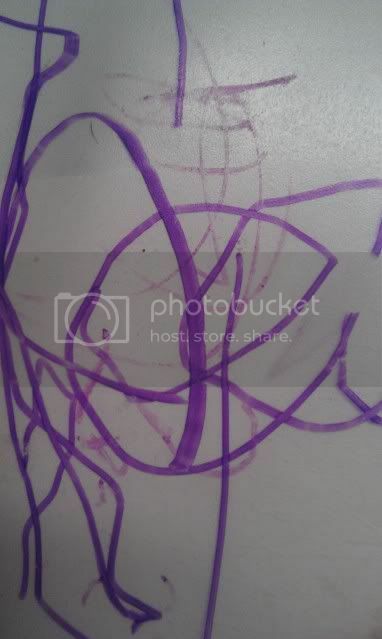 Dry erase boards - use dry erase marker, go over small sections, little by little and wipe off with paper towel. Dry erase marker will remove sharpie from PRETTY MUCH ANYTHING (anything that I have tried so far, anyways) Only it is a looooong slow process and uses up a lot of marker and towels. Its still pretty amazing and worth mentioning. 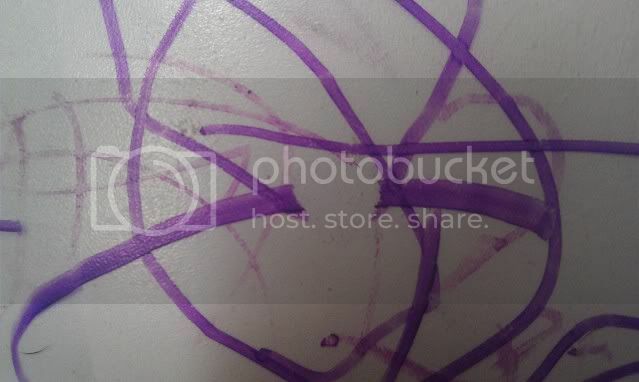 Just scribble Dry erase marker on, and wipe with a towel! Alright, I admit it - some of these didnt work for certain things - like for some reason my sons closet doors. I dont know if its the paint on it or what, but I just could get it at all. One day, like an angel, a family member that worked at Ace Hardware brought me a magical product that changed that - and it came in single serve packages. It still took elbow grease, but now Ive been using it to get rid of anything that any of the above didn;'t work on. I found on amazon you can get a big bucket of it, so I may have to invest! Its definitely worth it! 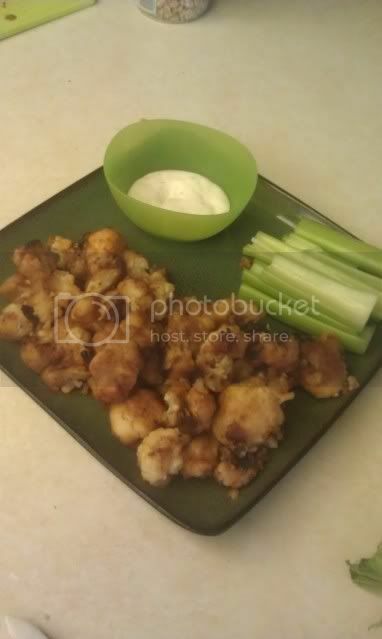 A friend of mine (And irregular author of this blog, Tiffany) posted that her boyfriend made her Cauliflower wings, on Facebook. This idea was so awesome to me that I did some research. Preheat oven to 450 degrees. Mix together the batter ingredients in a small bowl. Dip the cauliflower in the batter until coated evenly then place on greased baking sheet. Bake for about 15 minutes or until the batter hardens. Mix together sauce ingredients in a small bowl. Once the cauliflower are done baking, brush them with the hot sauce mixture and bake again for a few more minutes, until cauliflower is crispy. Remove from oven. You may want to add a bit more buffalo sauce to taste. The initial batter that you coat the cauliflower in is similar to the above recipe in mine, only I put some cayenne powder, Paprika, and chili powder in it as well to really get that flavor into the cauliflower. Also, I used 1 whole cup of both unbleached flower and water. I had a big head of cauliflower! And I used Olive Oil instead of Canola oil... I dont know why exactly but Canola oil just doesnt feel healthy when it goes into my body like Olive Oil does! And I only added a few drops. Instead I made the sauce out of a little water, BBQ sauce (a couple of different kinds I had in my fridge,) More garlic powder, and a little butter. You may need to leave it in the oven even longer, until crispy! Add some ranch or bleu cheese for dipping and a side of celery and my day was much better! In the end the taste was AWESOME. I love it, but I do suggest doing a second or third layer of the sauce before taking it out of the oven. I could use some more bbq flavor, but not to knock it at all! It is delicious and great for toddler finger food with an added bonus of being super healthy and vegan! And this is an awesome new way for me to get veggies into my 2 year old!